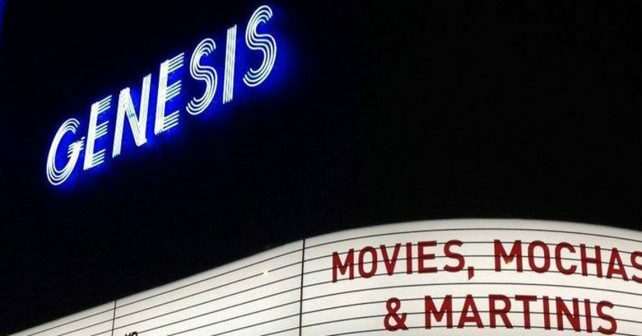 Genesis Cinema is turning 18 and to celebrate it’s showing a week-long series of films at super bargain prices – and giving away loads of FREE beer! The programme features a brilliant selection of films – each one representing a particular year in the last 18. Highlights include Battle Royale, The Artist and Lost In Translation and kids’ favourites Chicken Run, Spirited Away and Where The Wild Things Are. And the best news? Tickets are a rock-bottom £2.50; the same price as tickets when the cinema opened in 1999. Celebrations kick off on Friday with the 1963 film ‘Sparrows Don’t Sing’ – which got its world premiere at the previous cinema which used to operate on the same spot – plus 1999 favourite Lock, Stock & Two Smoking Barrels. This is followed by a one-off 1960s black tie party in the cinema’s Bar Paragon with live music and FREE beer courtesy of Truman Brewery. On Saturday, there’ll be a showing of Suffragette, followed by live music performances in the bar area after. Other events to keep an eye out for include a Q & A with Grand Budapest Hotel producer Jeremy Dawson plus a screening of the film on Wednesday, 10th May and a FREE night of experimental shorts in the cinema bar. Friday 5th May – Thursday 11th May, £2.50. Genesis 18th Birthday at Genesis Cinema, 93-95 Mile End Rd, E1. Due to demand the £2.50 screenings have now been extended for another week!